Ravens and crows have long received a bad rap. A group of crows is called a “murder” and ravens fare no better. When gathered, they are called an “unkindness”. Thus was the launching point for this continuation in the animal portrait series. It’s an image I had sketched out years ago and thought of anytime I saw a suspicious looking a raven. 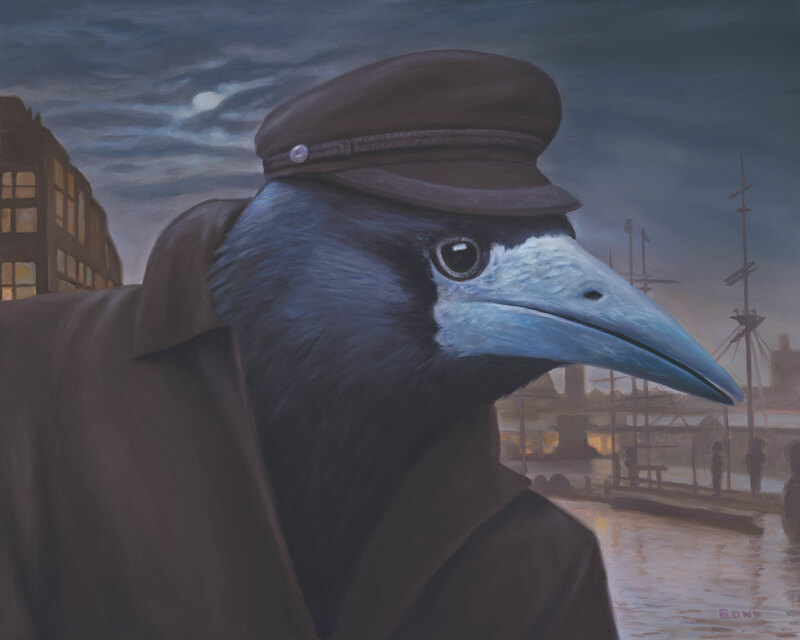 Lurking by the docks under the partially obscured moon, he awaits any dubious opportunity with mal intent. Or perhaps he is simply a poor misunderstood bird searching for honest work.